We all like to play with our food. insanewiches.com recently posted this mind-bender between bread. 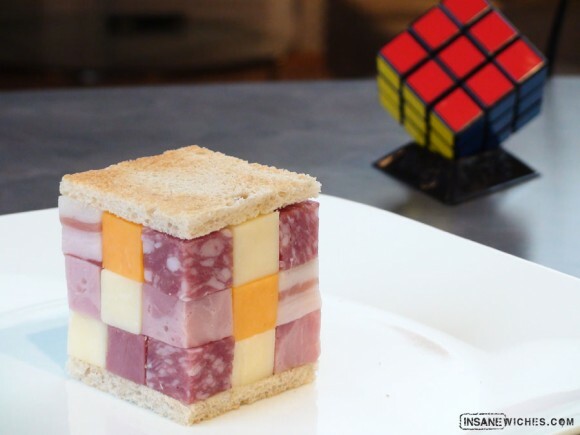 Pastrami, kielbasa, pork fat, salami, and two types of cheddar put this puzzling sandwich in your mouth. Mmmm. Pork fat. What’s your most insane sandwich?